Professor Lepek co-led a workshop entitled, “Nature-Inspired Chemical Engineering Applied to Particle Technology” with colleague Marc-Olivier Coppens (from University College London). Read the abstract here. 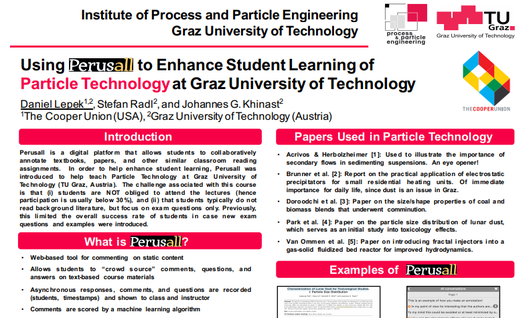 Professor Lepek also presented a poster entitled “Using Perusall to Enhanced Student Learning of Particle Technology at Graz University of Technology”. This work is based on some of his Fulbright work when he was a visiting professor at TU Graz. See the poster here.